Can it catch up on the revenue side? 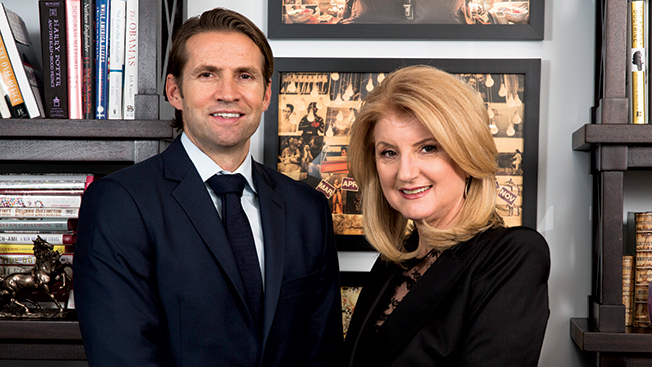 The Huffington Post is fast becoming an international media brand. It now publishes eight editions outside the U.S. and expects to export its celebrity, news and aggregation model to Brazil, South Korea, India and possibly the Middle East in 2014. China, which has been a lightning rod for other Western news outlets, also is on the drawing board, but coverage there will be limited to its The Third Metric lifestyle topics. “It’s taking an important subject to a market that really needs it,” president and editor in chief Arianna Huffington said. But while 44 percent of traffic comes from outside the U.S., the dollars aren’t keeping pace. International ad dollars are expected to rise 180 percent in 2013 but only contribute 15 percent of the revenue, which is why CEO Jimmy Maymann plans to create a small global ad sales team. “A lot of advertisers are interested in a one-stop shop,” he said. The expansion abroad underscores the challenge for online publishers like HuffPost, which are struggling to find a sustainable model as their audience growth in the U.S. slows. The strategy is to invest small ($2 million) and partner with an established local publisher, with the goal of breaking even in two years’ time. So far, the oldest sites—Canada, France and the U.K.—are at or closing in on profitability. Beyond international, Maymann is looking for growth in Web video via the year-old live-streaming network HuffPost Live, which hit 108 million video views in November; and native and mobile advertising. He has his work cut out for him. Like other online publishers, HuffPost is trying to close the mobile ad gap. Mobile is expected to account for half of its traffic next year but contribute at most 15 percent of the ad revenue. Native is in demand (up 47 percent this year), but it’s a long and complex sell. Only 15 percent-20 percent of HuffPost Live is actually viewed live—the kind of watching that advertisers will pay more for. HuffPost Live is looking to a combination of more D.C. and international programming, and social promotion to increase that share. “In hindsight, we should have had more appointment viewing,” Maymann said. While other online publishers have dabbled with paywalls, paid content is one place Maymann isn’t looking aggressively right now. HuffPost launched a paid tablet magazine, Huffington, but made it free after five issues.